Tool penetration control Constant Automatic Surface Tracking - CAST™, surface tracking relative to tool tip, fully programmable fully automatic. 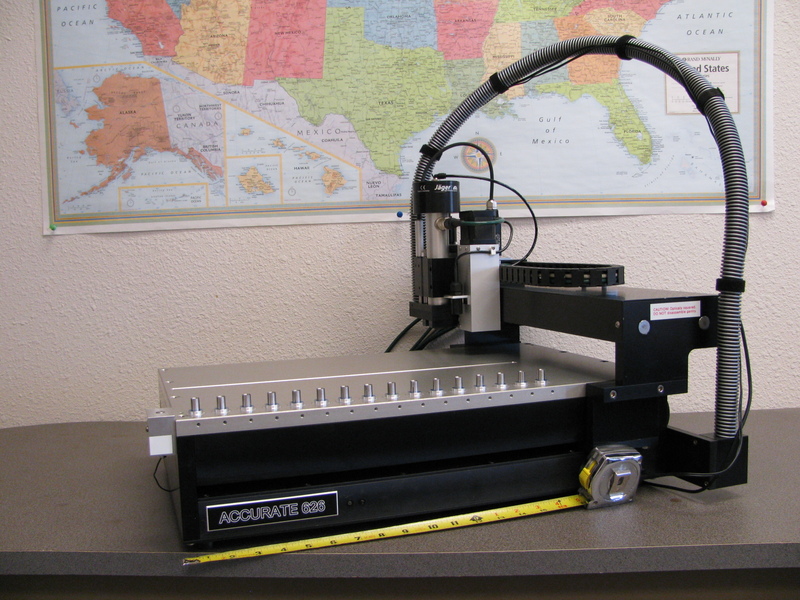 Uses a linear gauge with 1 μm, 0.039 mil resolution. Imports Gerber RS-274X files; Excellon Drill and Definition files; AutoCAD DXF 2D files; CAM350 files; PhCNC printer driver. Camera Fiducial / inspection video camera / microscope (USB 2.0) included. Warranty 1 year included in the price of the machine. It is an option to buy second and third year of warranty. * The high internal resolution is used to achieve better screw calibration; temperature compensation for the screw and material; low noise and smooth movement. ** To achieve the max accuracy, machine must be warm up for at least 30 min.